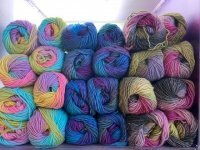 Take the mystery out of Entrelac knitting in this one day class. 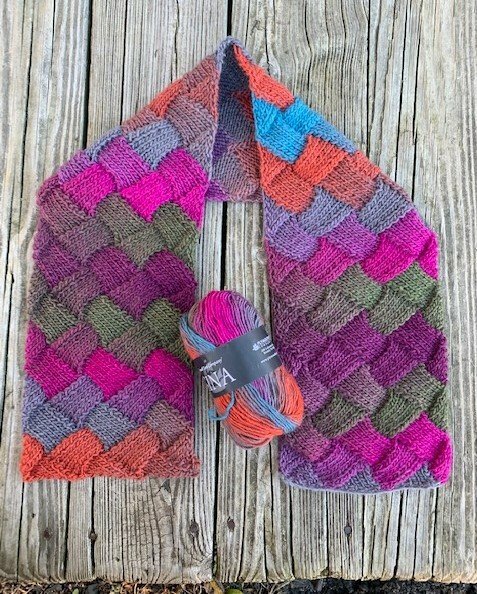 This very impressive looking technique is actually just a combination of knits, purls, and picking up stitches, and this class will break it down into manageable sections so you too can pull it off! 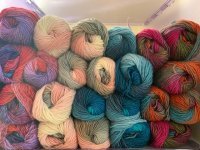 Most effective in a yarn with long color changes, we have the perfect choice in Plymouth Yarn's Gina. Two to three balls will give you a lovely scarf! The class will take you through the set-up and the repeated rows, and give you enough time to practice and trouble-shoot. For the ambitious knitting ninjas out there, you can even learn to knit backwards! At least one ball* of Gina or similar long-striping yarn. *our sample is about 7" wide by 36" long and was knit with 2 balls. One ball should be sufficient to take the class and learn the technique, but you will want more if you plan to make a scarf.